The wait is over. The day is here. Your truck is gassed up. Your trailer is hitched. You have all your tools packed up and ready to go. Cash in pocket. It’s auction time. The thrill of the bargain hunt is just beginning, but many auction hunters slip up in their excitement and turn what could have been a lucrative day into a disastrous termination of possibility? What am I referring to exactly? Permanent bans from all future auctions! Yes, it’s real and yes it can happen to you. Yes, self storage managers will talk to one another and even to their competitors in the area just to put your name on the blacklist. Yes, they do check the blacklist before an auction and yes, they can and will bar you from registering as a bidder and ask you to leave. It’s private property, after all. You can easily avoid falling into this awkward, unpleasant, and financially detrimental situation by being respectful of the storage property, civil to everyone including the bidders that beat you for a hotly contested unit, and prompt to offer up your security deposit and unit payment. Here are a couple of the rules that aren’t up for discussion – you just need to follow them unless you’re willing to run the risk of a lifetime ban. Do not walk inside the auction units. Don’t even put your toe over the line to try and be cute. Different states have laws of varying intensity regarding the status of an auction unit and its contents up until the final winning bid is entered. You run the risk of trespassing charges if you go inside an auction unit or touch anything. Furthermore, you might be surprised at how precariously some storage customers will stack up their valuables and delicate belongings, especially when they are in a hurry. Touching anything in the front row, or even just trying to get a peek inside a box can (and has) set off a cascade of delicate goods. If you manage to do this right before the bidding starts you will have plenty of angry faces to turn back to. Don’t lose your cool in a bidding war – even if you think something wasn’t fair. This one is hard to get across to many stubborn auction hunters, especially new ones. How much do you stand to make over one hotly contested unit even if it is a good one? Now, how much do you stand to make over a couple of years of returning to every storage auction held by that particular company? You will always profit in the long run if you are polite and civil when it comes to the bidding process. The storage facility managers keep the pleasant bidders in mind and you are far more likely to receive kind treatment if you are well-behaved and don’t cause problems. You might even get personal reminders if you leave your e-mail with the managers. The one thing that facility managers won’t tolerate, however, is bidders that cause disputes and arguments on the facility. It’s not good for business and it’s not worth the headache. The absolute fastest way to get yourself removed from the property immediately and barred from returning in the future is to get in someone else’s face or to use aggressive language. Be ready to pay in full. In most cases, this means having sufficient cash on hand to pay the full amount of your winning bids for all repossessed units you have won during the auction, combined. Some auctioneers are set up to take credit cards, and some are not. Many will not accept personal checks. Be ready with cash in order to ensure your highest chances of having a successful auction day. Some auction hunters think it’s okay to run across the street and try to find an ATM. You do this at your own risk. If you don’t show back up in an appropriate amount of time, as defined by the tired auctioneer’s patience, you can have your unit passed on to the next highest bidder who is ready with the payment. Remember that the auctioneer and self storage property manager are trying to get the auction over and done with so they can move on to the paperwork and clean-up process. Don’t delay them. Don’t forget the security deposit. 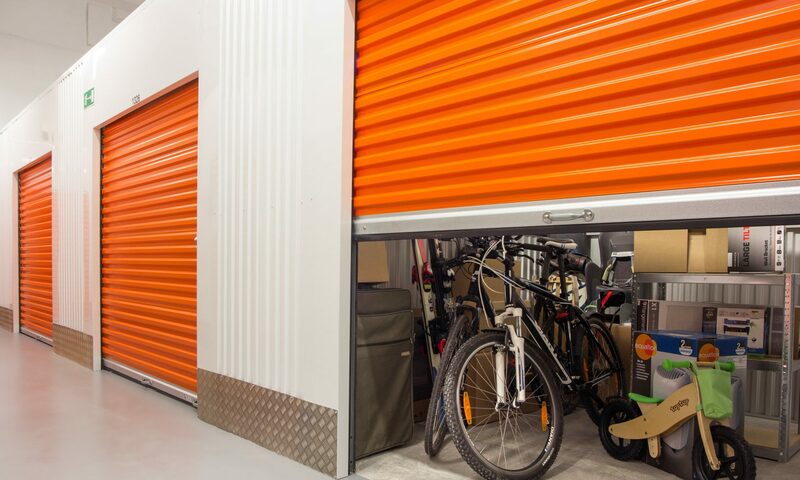 Most storage companies will require that you leave them with a security or cleaning deposit for every unit you have won. This is to ensure that you do, in fact, clean out the entire contents of the units you have won as well as remove any unwanted garbage or trash. Another great way to earn a lifetime ban? Skip out on cleaning up after yourself. One auction hunter in Hawaii once attended one of our property’s auctions in the morning, where he won 3 units, only to leave a whole bunch of trash and garbage up there for our manager to deal with. Sure enough, he came down into town for the mid-morning auction at our next facility, hoping to bid on additional units. You can bet everyone had already heard his name several times over. Next PostNext What’s Special About Hawaii Storage Auctions?